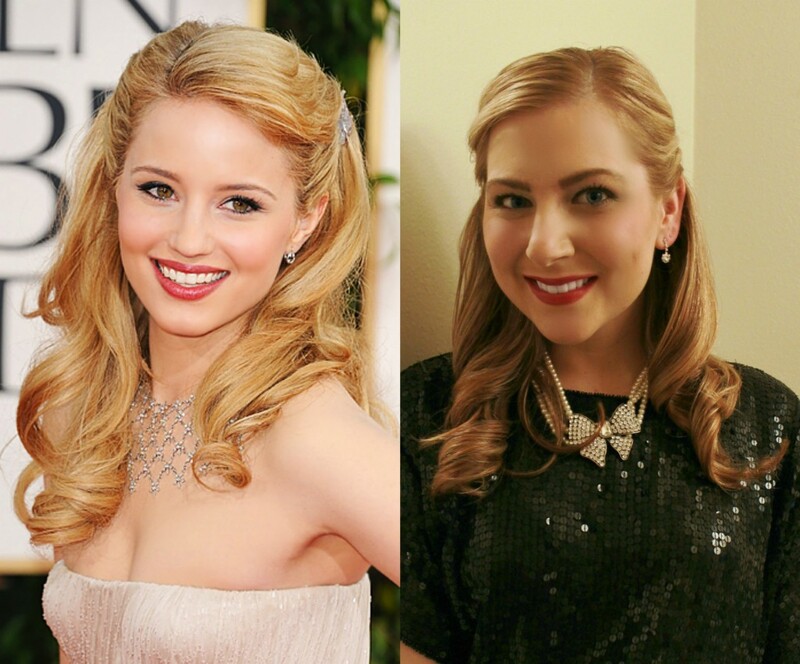 If you read my first post about holiday hairstyles, then you know I was hoping to recreate Diana Agron’s hairstyle! I made a plan in my first post, and today I am sharing with you my final hair reveal. Pantene’s Advanced+ Keratin Repair KeraGloss Oil Mist on my damp hair, and use it again on my completed hair do, for extra shine and shimmer. 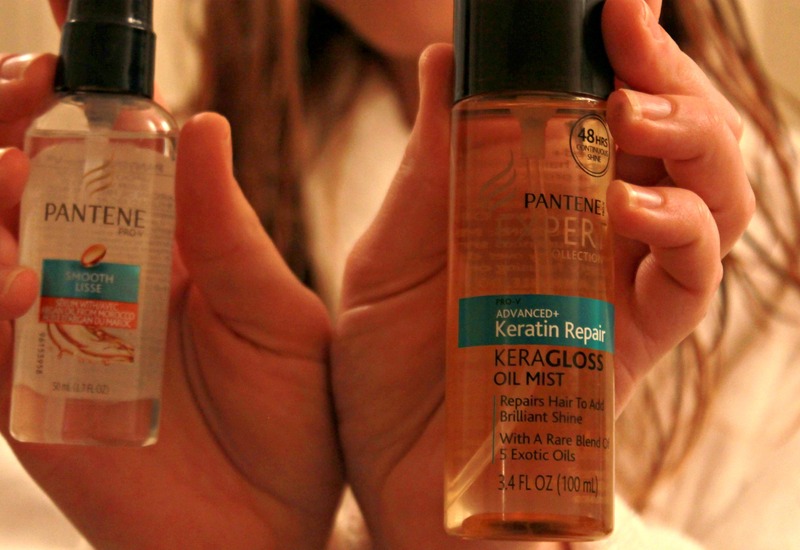 I also used Pantene’s Smooth Serum with Argan Oil Shine to control the frizz. 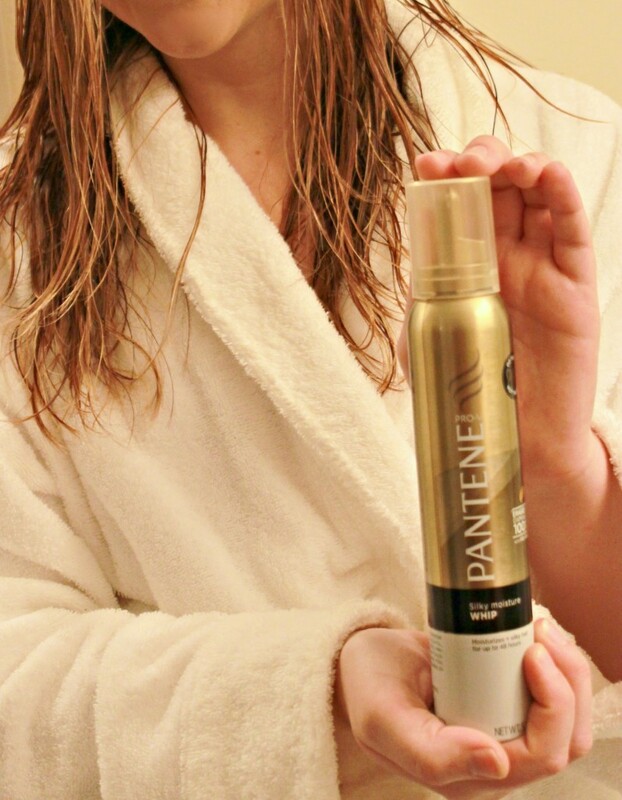 I used Pantene’s Stylers Heat Protection Spray prior to blow drying my hair, to protect it from heat damage. I also decided to use Pantene’s Silky Moisture Whip to help comb through my damp hair and make it super smooth. 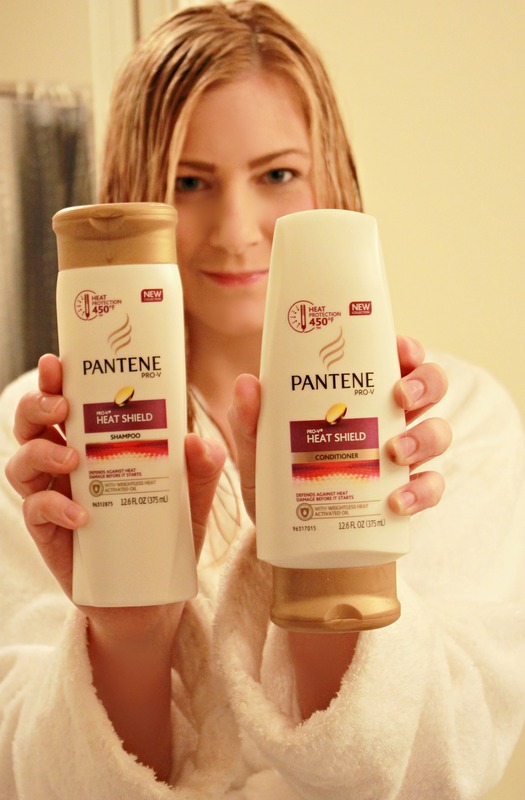 This is definitely one of my favorite Pantene products! I used Pantene’s Volume Triple Action Volume Mousse after blowing drying my hair partially to ensure the curls will stay. For me, the easiest way to achieve curls like this is to use a curling set. First I will use some of Pantene’s Stylers Extra Strong Shaping Hairspray to help me tease and set up my hair with a slight side part. Normally I wait to part the side, but I want to make sure my hair looks as nice as Dianna Agron’s does, which means I need to pay attention to the top of my hair before moving onto the curling! After I have my hair parted and pinned back halfway like Dianna’s, I will tie half of my hair up to focus on the bottom part. Using my roller set, I start out by using the biggest curlers for the bottom half of my hair. 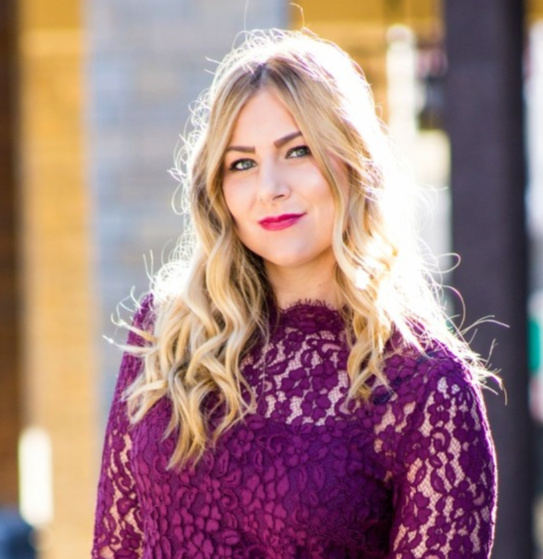 Just like I would with a curling iron, I switch back and forth between which way I roll the hair, this will help give a fuller, volumized look. 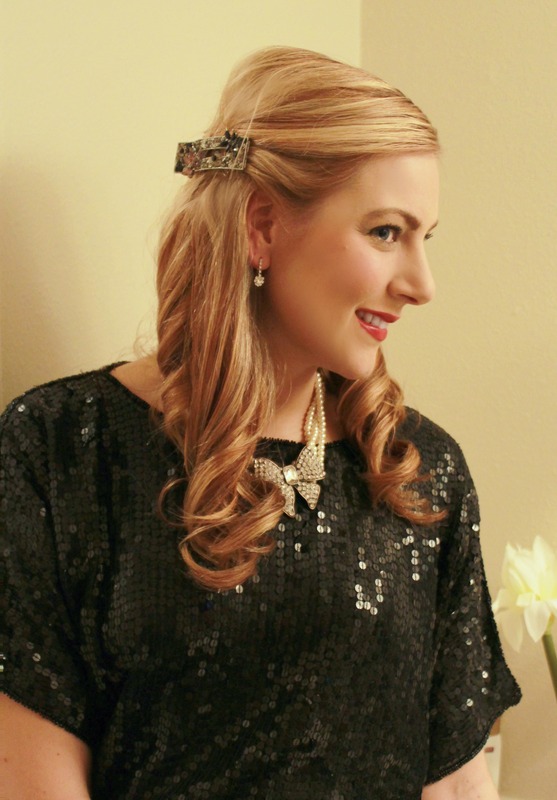 I then let down the second part of my hair and switched between using big and smaller curlers, and of course, making sure I roll the hair opposite each time. After I have the curlers in, I spray my hair with hairspray again. After the rollers completely cool, I carefully take each one out and spray again with hairspray. At this point, I used the Smooth Serum again to help work through my curls and make them look beautiful and give that vintage vibe like Dianna’s hair. Again, I will add just a hint of the Oil Mist to give that healthy, shiny look! The final touch, is adding a gorgeous, decorative pin to my hair, just like Dianna’s and there you have it, ready for a night of fun. So what do you think?! I can’t wait for my hair and wigs to be just a little longer so I can try this hairstyle again! 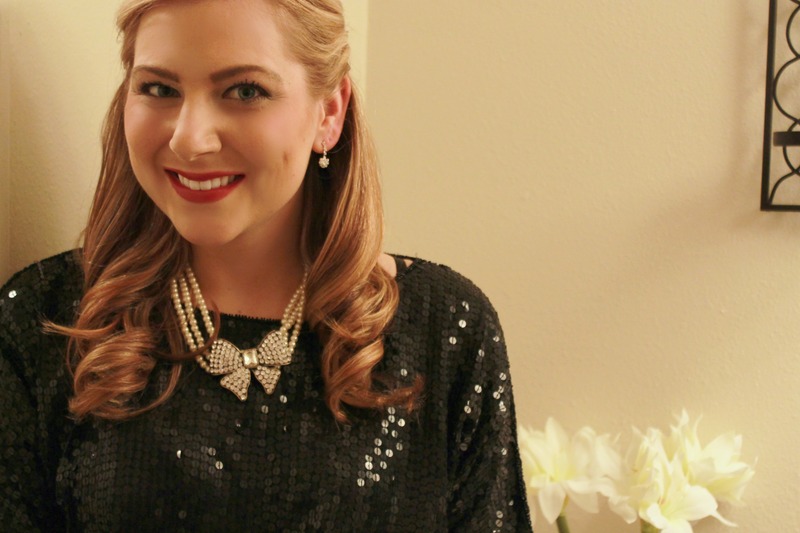 Thank you Pantene for helping me achieve my ideal holiday look! Cute! I like how it turned out! I have a pantene BB cream and I hate it, makes my hair so greasy! You hair looks STUNNING! Great job!! It looks great! I’ve always been a fan of Pantene. 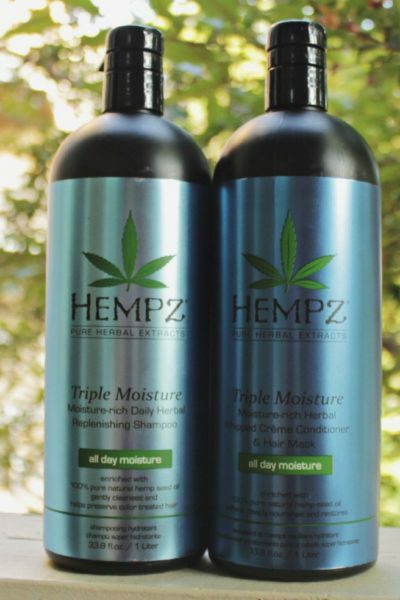 It works really well for my hair! Your hair looks gorgeous Rachel! I love how you recreated Diana’s style, so pretty! You did an amazing job!! You look so adorable!! Your hair turned out so well!! 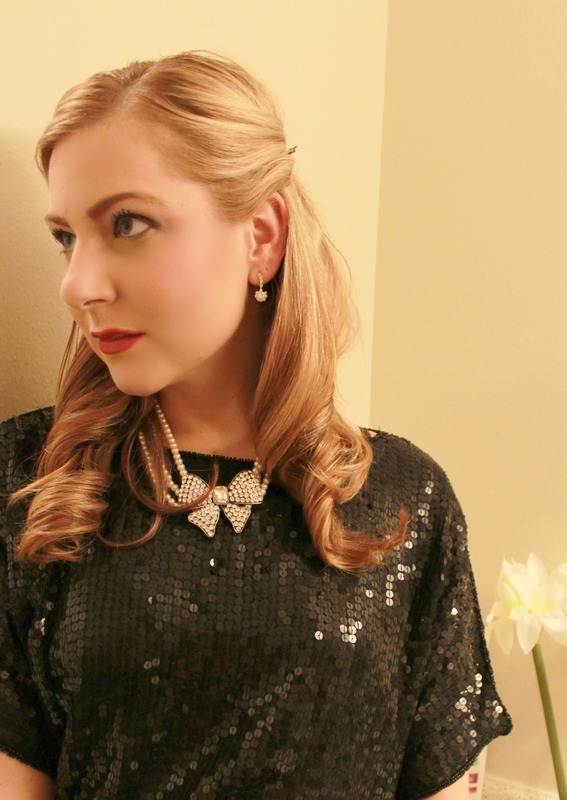 Love how glamorous it is, and it’s perfect for Christmas. Fabulous job! Your hair looks flawless! Love the curls. What a perfect do for the holidays! You look so lovely! 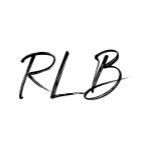 Great product review, and killer style! Merry Christmas, doll! Have a lovely holiday! Love your hair! You look so pretty and that sequined top is adorable! Now come do mine! Seriously, I am terrible with curls. I can never get the back of my head to look right! Wao your hair turned out beautiful!! I really love this look!